What is an Initial Payment in a Leasing Deal? Whether you’re buying or leasing a car, the finance company generally require an upfront payment. This is known as an initial rental payment, or sometimes a deposit - but you don't get the money back, as it contributes towards the overall lease payment. Usually, the bigger the initial rental you pay upfront, the lower your monthly installments are. It depends on your preferences and budget, but most people prefer to do this. The initial rental is usually paid upfront when leasing a car on Personal Contract Hire (PCH) or Business Contract Hire (BCH). This guide will explain what an initial rental payment is, how it works and other details. For more information, contact us today at Complete Leasing to speak to one of our advisors obligation-free. What is an initial rental payment in car leasing? Do I get the initial rental back? When do I pay the initial rental? Car Leasing: How Does it Work? Firstly, it is good to know exactly what is involved when leasing a car. When you lease a car, you sign up to a financial agreement that states exactly how you’re paying for it and how long the contract will last. You will pay an upfront cost (initial rental payment) and then continue to pay fixed monthly instalments until the end of the lease contract – all in exchange for the car you want. Once the contract term ends, you hand the car back and exchange it for another new model on a new contract - or you can keep the car, depending on the type of finance agreement you’ve signed up to. So what does initial rental payment mean when leasing a car? An initial rental payment is a sum you pay upfront – also referred to as a down payment. This is taken off the total cost of the lease – the remaining amount will be spread out over the length of the contract term, which you will pay off in fixed monthly installments. The amount of the lease initial payment depends on the amount of money you are willing to pay or able to afford. Usually, you can pay anything between one and 12 months’ worth of payments, but this may differ with different finance companies. The more money you can pay upfront, the lower your monthly payments will work out. If you leased a car for 24 months and the monthly instalments were set at £100 per month, you could choose to pay an initial rental payment of 6 months. So you would pay £600 in the first month (6 x £100), and after that, continue paying £100 every month until the contract ends (for the next 23 months). In total, you will have paid £2,900 for leasing the car. In the contract, this may be shown as '6+23', because you’re paying 6 times the regular payments in the first month, then you're continuing with regular monthly payments for the next 23 months until the contract ends. You could choose to pay a bigger initial payment in the first month – for example, pay 12 months upfront, then you would pay less each month. Overall, you would still be paying a total of £2,900. 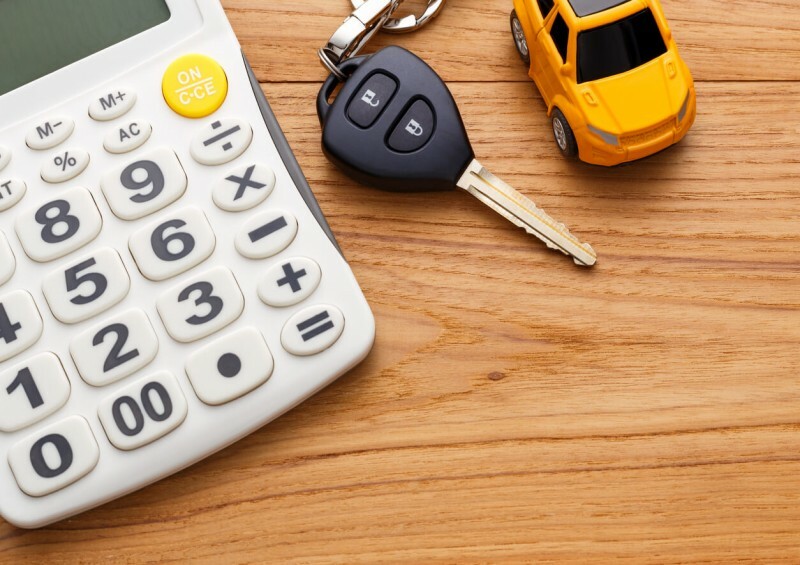 If you choose to lease a car for a period of 36 months that has a monthly cost of £211.58, you could choose to pay 3 months upfront for the initial upfront payment – this would work out as £634.74. Once you’ve paid this in the first month, you would continue paying £211.58 for the next 35 months. By the end, the total would work out as £8,040.04. This term may be stated as '3+35' in the contract, as you’re paying 3 months’ worth of instalments for the first month and then paying regular monthly payments for the next 35 months. If you paid a higher down payment, such as 6 months' worth of payments instead, then your monthly instalments would work out lower. But all in all, you’re still paying the same amount for the lease. Regardless of how much initial rental you pay, the overall cost works out the same, so it just depends on your financial situation and what you would prefer to do. The initial payment in a lease deal is a flexible way of structuring how you’re going to pay for the lease throughout the contract term. Do I Get the Initial Rental Payment Back When My Lease is Finished? No. The initial rental payment you pay at the start of your lease is not able to be refunded. It is there to ensure that your monthly payments are lower, but it still contributes towards the total leasing cost. When Does the Initial Payment Need to Be Paid? The initial payment is always made to the finance company. If you’re planning on paying using debit or credit card, it will need to be made in advance before having the car delivered. Once you’ve made this payment, you will then be given a delivery date. If you would prefer to pay by direct debit or bank transfer, the initial payment can be made after the car has been delivered to you – anything up to 10 days after. Having said this, every finance company may have different rules regarding the initial payment, so be sure to double check this with them first. We can also help advise you on this at Complete Leasing, so contact us today for more information and advice. Once the initial payment for your leasing deal has been made and you’ve received your vehicle, you will need to keep up with the following monthly payments until the end of the contract. If you don’t keep up to date with all your payments, it can be financially damaging. Not only will it have a bad effect on your credit rating, but it is likely that the finance company will repossess the car. In such circumstances, it could prevent you from signing up to any other finance agreements in the future. Keeping up with credit agreements helps you to build a good credit rating, so it is in your best interest to make sure all your payments are made on time. If you would like more information regarding the initial payment in a leasing deal or you would like advice on the right car finance and leasing options for you, contact us today to speak to one of our expert advisors. You are under no obligation with us and the advice you receive is free. If you'd like advice on whether it is worth buying a car or leasing, read our useful guide - Should You Buy or Lease Your Next Car? Or speak to us for more information!